Consumers’ growing interest in products personalised to their needs and preferences is prompting many industries to rethink their business operations. For the ophthalmic industry, personalisation poses a huge challenge, with spectacles mass produced far away in Asia and every customer having a uniquely shaped face. It also, however, presents a great opportunity. Innovation: EARTO member Eurecat and 10 partners developed a business model and advanced manufacturing techniques for the production of 3D-printed spectacles tailored to the anatomy of each customer and manufactured in mini-factories. 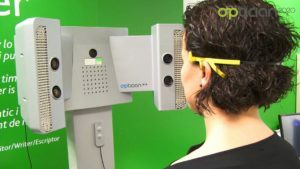 Optician2020, which was co-funded by the Framework 7 Factories of the Future PPP, makes the user an integral part of the co-creation process – and fully personalised spectacles available for the first time. Impact delivered: Optician2020 has the potential to transform the industry’s image, offering and customer experience. Not only does it improve the frame fit and optical quality of lenses, it also makes spectacle manufacturing local and more sustainable. By doing away with the transportation logistics involved with overseas manufacture, time-to-market is reduced by 75%, costs by 40% and environmental footprint by 50%. The innovation is now available in Spain and Portugal under the brand name Mimic Eyewear. Eurecat is the main Technology Centre in Catalonia, Spain. Its multidisciplinary and multinational team of 600 professionals work in more than 160 projects of applied R&D.